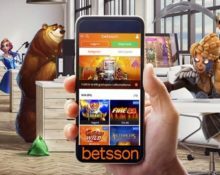 Betsson – Afterwork Cash Race! Win up to €1,000 in cash, every day! Join a different type of “afterwork party” at Betsson and relax in the Casino during evenings to catch cash prizes while playing slots, every weekday. 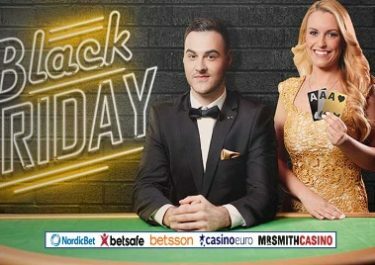 Spin on a selected game from Yggdrasil during the race period and you could hit a random prize drop worth up to €1,000 in cash. Eligible games change daily and include Jungle Books, Ozwin’s Jackpots, Tut’s Twister and Lucha Maniacs. Exclusive for players from Finland and Norway. Join the “Afterwork Races” at Betsson on weekdays for a different type of relaxation after a hard day’s work and you could win a cash prize on any spin when playing selected Yggdrasil slots. A €5,000 cash prize pool will be shared daily between 100 lucky winners. Spin every weekday between 17:00 – 23:00 CET on a selected Yggdrasil slot with minimum €0.40 cash bets or currency equivalent and you could trigger on any spin a random treasure chest containing an instant cash reward. Overall, 100 prizes totaling €5,000 are up for grabs, every day. The race tab within the game clients will display remaining prizes and time. Any cash prize will be instantly added to a winning player’s account with no wagering requirements. Terms and conditions apply. Eligible Games: Empire Fortune (2018-07-23), Tut’s Twister (2018-07-24), Vikings Go Berzerk (2018-07-25), Gem Rocks (2018-07-26), Penguin City (2018-07-27), Ozwin’s Jackpot (2018-07-30), Jungle Books (2018-07-31), Vikings Go Wild (2018-08-01), Lucha Maniacs (2018-08-02), Golden Fishtank (2018-08-03). 1x €1,000 | 1x €500 | 1x €300 | 1x €250 | 1x €200 | 5x €150 | 10x €50 | 10x €30 | 20x €25 | 20x €20 | 30x €10.